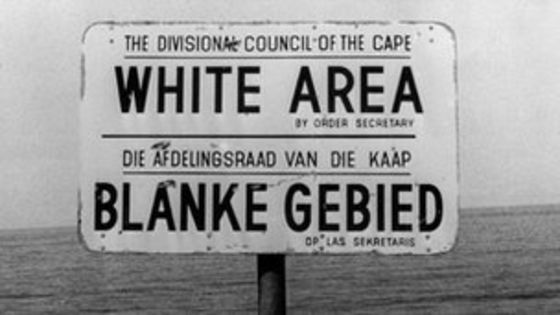 The word Apartheid comes from the Afrikaans word for “apartness.” There was a very bleak period in South Africa starting in 1948 when the government began to overwhelmingly develop new policies that would create significantly high levels of racial discrimination against black men and white women. This period of time come to be known as apartheid, which was more or less an economic system designed to restrict what black people would be able to do on both economic and social levels. The seeds of apartheid were first planted at the very beginning of the nation’s origins, back when the English and Dutch settled in the country in the 17th century. In the 1940s, the National Party began to campaign for the advocacy of the white race within South Africa. Dr. Daniel Francis Malan led the charge to unify whites so that they could come into power. His party ended up winning the election and seized power of the South African government. This would enable them to enact many racist and separatist policies. Apartheid laws essentially seized almost all land from blacks and redistributed it to whites so that they could live comfortable and productive lives. Nearly 87 percent of all land was given to whites, leaving black citizens with a paltry 13 percent of territory for them to farm. Not only that, but they were restricted to specific areas where they were unable to leave without appropriate permission. Those who spoke out against apartheid were quickly silenced either through excessive fines, arrest or even whipping. The black man was unable to speak loudly about the injustices being perpetrated against him, primarily because he was too busy trying to fight for his own survival. The Public Safety and Criminal Law Amendment made sure that the South African government would have the power to declare any individual who spoke out against them as enemies of the state and treat them as such. The biggest act of indecency by this racist and powerful government was the passing of the Bantu Authorities Act. The Bantu Act essentially created specific areas of land known as homelands for black Africans. These areas would be where the South African black individual would be forced to give up their citizenship in order to become members of these homelands. This would more or less revoke their ability to vote, despite the fact that they still technically lived in South Africa. Four homelands were created by the South African government, which would in effect remove nearly nine million blacks from having the ability to participate in South African politics. This strategy by the Nationalist Party was known as Grand Apartheid, because it involved helping separate the blacks from the whites. While the national party tried their best to explain the moral reasoning behind their decision to revoke power from all non-whites, this quickly became seen by the majority of the world as wildly inappropriate. World War 2 had created a startling picture of what the ultimate conclusion of racism was: total and unwarranted destruction of human life. There was a significant amount of political pressure that was placed upon the South African government by the United Nations, but that pressure went unanswered for the longest time. There was no moral impetus for these people to allow for equal rights within the black and Indian community. To make matters far worse, the South African government did not handle sedition and disagreement with civility. Instead, they utilized violence as a method to control those who refused to follow through with the policies that they had created. For those who would dissent, they were often taken captive and tortured thoroughly. Mass protests would be met with supreme violence. On March 21st, 1960, several thousand black protestors arrived at the Sharpeville police station so that they could protest the existence of the passbook laws. These protests were met with attempts by the government to disperse the crowds. This did not work, however, for neither teargas nor jets passing above could convince the disenfranchised black man to step down from his protests. So, the police responded by shooting at the protestors, killing a grand total of 69 causalities and many more injuries. The government merely claimed that the soldiers who opened fire upon unarmed black protestors were fatigued and panicked. This became known as the Sharpeville Massacre. The government used the Massacre as an excuse to call for a state of emergency, arresting thousands upon thousands of black men that they believed would be problems for them in the long run. The civil organizations that had been working hard to resist the government’s racists policies were banned from existing. Members of the resistance were forced into hiding, but they would not be deterred from finding some way to stop the racist government from oppressing them. The United Democratic Front was assembled as a way to counter the apartheid policies that were being enforced. Among the members was Nelson Mandela, an outspoken revolutionary who believed that Apartheid was a great evil that must be ended at all costs. Nelson’s actions were legendary for he did not believe in principles of non-violence, but rather had come to the conclusion that the only way his people could ever be free was for the South African government to be overthrown. Mandela had been responsible for the creation of the Mandela Plan, which was a method of enacting guerilla warfare and terrorist acts against the South African government. As members of the African National Congress, Nelson Mandela was part of an armed organization known as the MK. The MK would carry out the Mandela Plan and sabotage many different sections of the South African government so that they could enforce their own rule. However, Mandela did not believe in killing and instead focused on methods of sabotage that did not involve the deaths of others. In spite of Mandela’s work to free his nation, he was captured instead. He had tried to avoid arrest, but was unable to escape them for too long. On August 1962, he was arrested for a wide variety of crimes and ended up sentenced to prison for the rest of his life. Mandela would spend a total of 27 years within prison before the South African government would release him. In the course of time, it was growing more and more clear that the apartheid movement was unable to suppress the black population from being able to express themselves. While the South African government worked hard to suppress all non-whites, there was a tremendous amount of cohesion between all of the black protestors. Things began to heat up even more in the 80s, causing a greater amount of violence against those who defied the South African regime. This kind of violent action against protestors and dissidents caught the attention of the international community at large and pressure once again began to mount against those who perpetrated the apartheid. The National Party had once promised that they would bring order and cohesion to South Africa by enacting these racist laws. They had promised their constituents that order would reign supreme and that racial harmony would be established by a clear-cut separation of all races. They couldn’t have been more wrong. As the riots, protests and political pressures mounted, it became increasingly clear the National Party that they would not be able to recover politically from this mess. The leader at the time, Prime Minster Botha, made the decision to resign from politics due to a series of health concerns and allowed for F.W de Klerk to take over for him. De Klerk understood that the state of affairs was in dire straits, so he chose to make a decision that surprised almost everyone. He reached out to Nelson Mandela and freed him from prison. De Klerk also made a point to eliminate all bans on organized opposition parties such as the ANC. By 1990, Nelson Mandela was in talks with de Klerk about the complete eradication of Apartheid law. A long series of negotiations began and piece by piece, the apartheid laws were dismantled. It wasn’t an easy nor was it a quick solution, but over the course of four years, political prisoners were released and compromises were made. This isn’t to say that transition was a smooth one. Many on the right wing, those loyal to the national party, were outraged at this transition and proceeded to assassinate and kill those who were loyal to the ANC. Violence persisted and chaos threatened to disrupt the peaceful discussions of dismantling the apartheid. One group went as far as to drive an armored vehicle into a trade center where peace talks were occurring. This desperate attempt to prevent the peace talks from happening ultimately failed and under Mandela’s leadership, the apartheid movement was slowly taken apart. Mandela and de Klerk were even awarded with the Nobel Peace Prize for their hard work in trying to unify South Africa and eschew the racist laws that had held it back to a significant degree. Soon, the entire black population was free to vote again and in 1994, a general election was held to install a new government into power. This election would be the key to the success of Mandela’s party. After a great amount of work to make sure that the election was fair, free from influence and attainable, the ballots were held and the votes were cast. The African National Congress won enough seats to where they held a majority. The National Party held enough seats to challenge them, but not enough to overwhelmingly control the government any more. Nelson Mandela would go on to be sworn in as the President of South Africa, effectively bringing an end to apartheid in the country. This closed a brutal and violent chapter of South African history. Before the white man had come along and tried to establish total dominance, the nation had been in a state of peace and harmony. Yet, once the 1948 election had occurred, there was nothing but chaos, turmoil and sorrow. There was no reason for such evils to be perpetrated against an innocent population, no reason other than the sordid gain of others. This is an important lesson to learn, that no matter how far a culture comes, no matter how civilized they might be, as long as prejudice remains, there will always be seeds of discord and hatred. Without the strength of leaders like Mandela and the willingness to oppose the government through the use of violence and civil protest, apartheid would still be going on today. His strong leadership and desire for peace above revenge was what led to the dismantling of the racist laws. Had Nelson and the ANC held tightly onto the idea of paying back the whites for their actions, the cycle would have just flipped the other way and violence would be perpetrated against the aggressors. That would do nothing more than perpetuate hate and create yet another state of oppression. Mandela’s decision to be the better man and release his people’s right to revenge is ultimately what led to the freedom of his people. In the moment, hatred might seem like the best response to hatred, but ultimately it will just plant the seeds of conflict that the next generation will sew. With the hard work of Mandela, the task of reconciliation was successful and they created a powerful message to the world that racism could be overcome, not matter how systemic, no matter how deep. All it would take was an honest, genuine desire to fight against injustice and unify all people, no matter their skin color.